For this month’s e-newsletter we interviewed Subodh Raj Pyakurel. Subodh is the Chairperson of the Informal Sector Service Centre (INSEC), a FORUM-ASIA member based in Nepal. He started his human rights activism back in the 1980s and was one of the founders and past Chairpersons of FORUM-ASIA. In this interview we talk to him about his background, his ideas about human rights, his experiences, and much more. How did you become involved with the human rights? And how did you become involved with FORUM-ASIA? In 1988, the democratic movement in Nepal was momentous. It was the culmination of an on-going struggle for democracy since 1965. Several political leaders were imprisoned and many were even eliminated by the regime of the time, which was directly led by the king. It was a palace-controlled system, which was party-Less, in which the freedoms of expression and association were highly restricted. The King was above the Constitution. In 1986, an organisation called the Forum for Protection of Human Rights (FOPHUR) was established. I was elected as Councillor of FOPHUR in 1988. 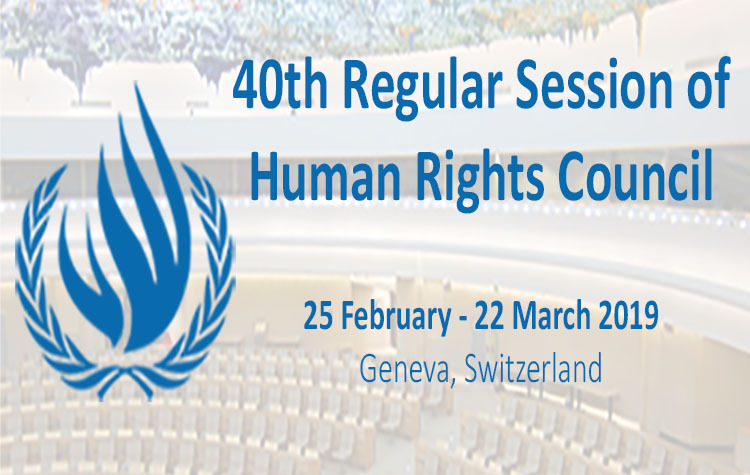 The regime was notorious for violating fundamental rights enshrined in the International Covenant on Civil and Political Rights (ICCPR). I was detained several times for opposing serious cases of killings and atrocities In Nepal. FOPHUR launched a campaign for the release of political prisoners. When the democratic movement was at its peak in 1990, I was the Coordinator of the Nepali Congress, a Democratic Party and alliance of leftist parties, looking after party operations in the Eastern part of the country. Nepal achieved multi-party democracy in 1990, in line with a wave of democratisation around the world. Several of us were seriously concerned about uncontrolled devastation caused by the free market economy and the structural adjustment programme induced forcefully by the World Bank and the International Monetary Fund. We therefore wanted to make sure that there was a responsible regime with a clearly defined target of social justice. Due to my frontline leadership in the democratic struggle, including being subject to detention, imprisonment, and other atrocities, I became well-known. At the same time, some friends from the Philippines and Thailand were also eager to create a common forum of social justice activists to challenge the impact of uncontrolled free market policy. Hence many of our friends assembled in the Philippines and we created FORUM-ASIA. All our founders were progressive with a vision of attaining social justice and a responsible market mechanism. The challenges are similar, although some cosmetic changes have occurred. We experienced a lot of sliding back of democratic achievements in several democratic countries. War, terrorism, military coups, elected authoritarian regimes, and many other factors have been a lucrative business of warmongers. Hence, my commitment, duty, and effort remain intact as of the days of establishing FORUM-ASIA. In the year 2005, during FORUM-ASIA’s General Assembly, several friends requested me to stand for the position of Chairperson. During those days FORUM-ASIA was struggling to overcome a severe crisis due to a conflict with Thai members who provided their bank account for our use, as FORUM-ASIA was not a registered organisation. Our accounts were ceased and there were security challenges. After I was elected unanimously, I met with Thai members on account of my years of long association. It was the period of the Thai junta’s increased interference in all state affairs. With the support of Chalida [Tajaroensuk], I met with several military generals. At the end, we decided to establish an office in Geneva, where we got working space for free from the canton (local Government) due to our credible record of supporting human rights organisations at the United Nations. The then Executive Director, Anselmo Lee and Adrien-Claude Zoller took the lead in arranging the establishment of our Geneva office. After obtaining the registration of FORUM-ASIA’s Geneva office, I was on the move to convince the Thai authorities to approve our registration in Thailand. At last we got provisional registration in Thailand. That was the moment that was most inspiring and unforgettable to me. People’s awareness and accountable conduct are the only thing able to influence States to make sure to human rights voices effectively heard. For me there are four pillars of the human rights mission: social Justice through democracy guided by human rights and disciplined by the rule of law. Until human rights defenders receive due recognition by the people, their impact on society and influence on the State are relatively weak and ineffective. Our challenge is to convince the State about the importance of human rights and garner political support from formal institutions. We are working in larger coalitions of civil society and state institutions, including National Human Rights Institutions, to make that happen. Neoliberalism has been widening the gap between the rich and the poor to the extent that humanity is being eroded in the social and cultural lives of the people. Foreign powers and tycoon’s joint interest have been causing devastation on ecology and sustainable development. The recent declaration of and commitment to the Sustainable Development Goals has given a new ray of hope, but the question remains how diligently the purpose will be served. But all difficult questions have answers. People’s awareness is increasing rapidly thanks to the Internet. Sufficiently universal ideas have emerged in the shape of international and domestic laws. People can measure the impact of policies quicker than before. Hence, the critical mass is growing stronger. I am hopeful that the new generation, equipped with knowledge and tools, will create committed and effective solidarity to move the global society towards justice and equity.